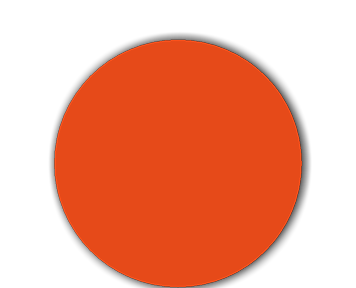 I participated in TherapyTech during my graduation semester. During this event researchers, companies and therapist try to find an answer on how to use technology for therapy purposes. I was asked to showcase my graduation project BackUp at this exhibition and gave live demos of the system. 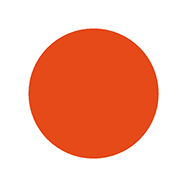 I also participated in the design challenge. 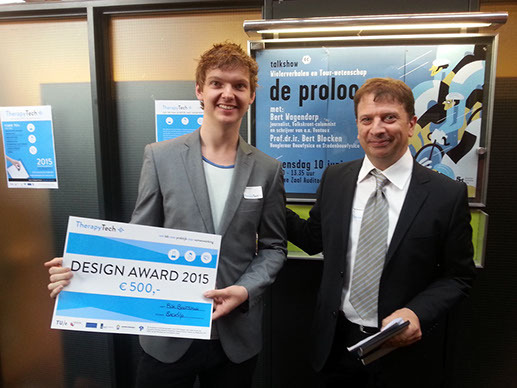 With BackUp I won the TherapyTech design award 2015. The feedback from the jury was that BackUp feels like a finished product, which is ready for market. The aesthetics are great and the function and need for this from the field is really apparent. 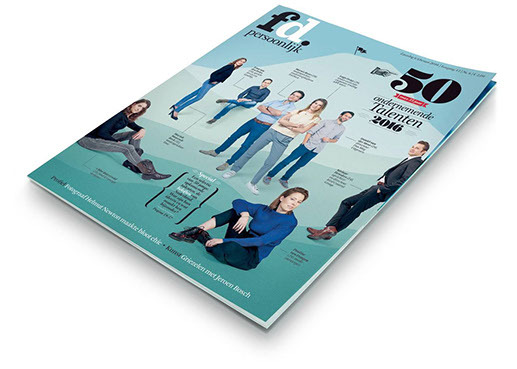 In 2016 I was selected as young entrepreneurial talent of 2016 together with 49 other talents by "Financieel dagblad persoonlijk" Together with the other talents there are regular network events which I try to attend as much as possible. BackUp was featured on the Dutch Design Week 2015 on the exhibtion Mind the step. During this period BackUp was also covered in a news item at RTL nieuws as well as in a radio item. 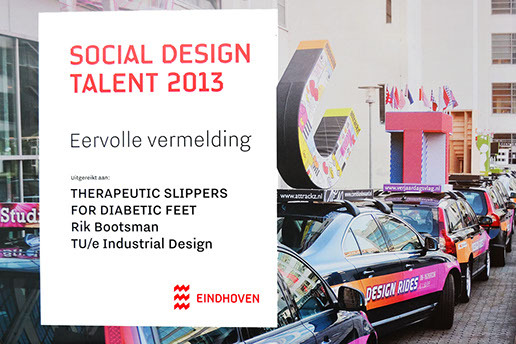 During the dutch design week 2013 I exhibited my work on the therapeutic slippers and was nominated for the social design talent award. 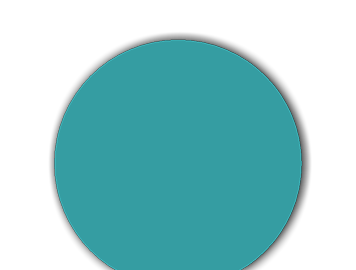 More information about this project can be found on the page portfolio. In het ontwerp is een grote sprong in denken waar te nemen. Er wordt een klik gemaakt tussen verschillende domeinen. Het idee heeft weliswaar raakvlakken met WMO (kwaliteit van leven, zelfredzaamheid) maar mogelijke doorontwikkeling van dit product is niet aan gemeente. Zeer wel een eervolle vermelding waard. 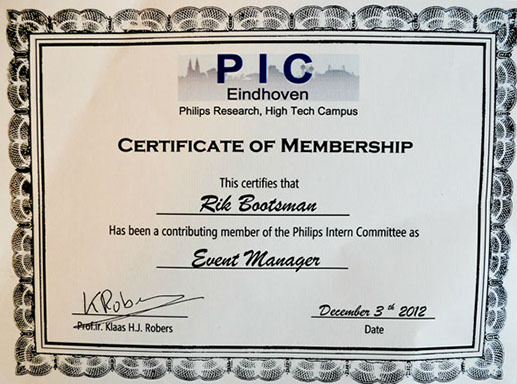 During my Intership at Philips research I joined the Philips Internship committee Board. Together with Sjoerd Bastiaansen we worked on being an addition for all the students at the High tech campus during their stay there. 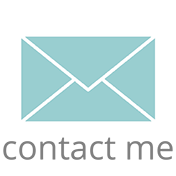 We have done that by organizing lectures, networking moments and excursions as well as some leisure activities such as ice skating. In this new environment I had to quickly adapt to how to organize events in a professional environment. I had regular meetings with facility managers of the campus to get rooms to organize events in. The experience to see the campus from an organizational view was really interesting, I could now experience how large the campus is and how difficult it is to organize an activity when so many people are involved. It also showed me that I do not like working in a solely managing position but always want to be closely related to actually creating new things. For my graduation project I was a co-author of a paper. Together with Annick Timmermans, we conducted a study to research the correlation between intervertebral distances and t-shirt sizes or body lengths. 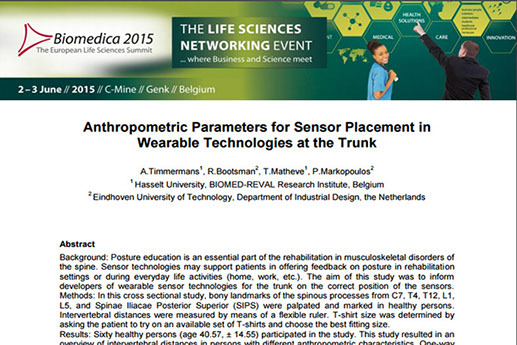 This short paper was accepted at the biomedica summit 2015. Also I was co-author of a paper submitted at ITHET 2012 about my Bachelor project about autonomous sailing drones and their educational value.